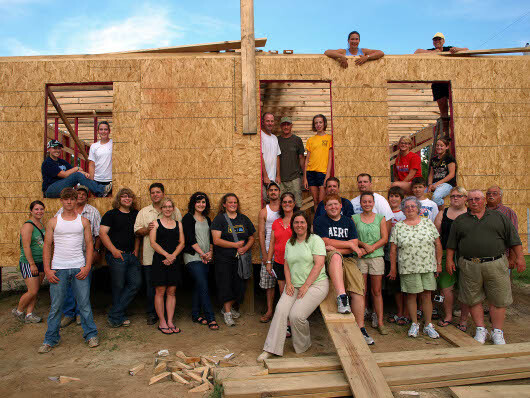 Last week a great crew from Carlisle PA framed the Calhoun House. They live-blogged the trip at their Carlisle to Lakeshore web site. Check it out. This week a team from Georgia picked up where they left off and has been putting on the roof. We hope to have the house dried in before the end of the week. Thanks for the kind words! If it is possible to have a great time in that kind of heat and humidity, we did. Our prayers continue to be with Terry and the family.